The Legal Genealogist‘s light reading just before setting off for this trip to Oregon for the Genealogical Forum of Oregon’s fall seminar was the current issue of the National Genealogical Society Quarterly (NGSQ). It’s one of the best ways to see how the Genealogical Proof Standard (the GPS, for short) is actually applied to solve some of our most complex genealogical problems. You know, the kind of genealogical problems you and I have all over our family trees? The ones we grapple with each and every day? The ones we often refer to as brick walls? So… what does this have to do with DNA? So… what does this have to do with DNA and the NGSQ? But here’s the bottom line. In other words, to meet the standards of genealogy’s best practices, to conduct reasonably exhaustive research, to resolve complex genealogical problems, to break down our personal brick walls — to do what we all want to do for our own families –sometimes DNA is something we just have to do. There is one real distinction between DNA test results and other types of genealogical records: you have to ask someone to test, to provide saliva or buccal cells that they certainly have a right to keep to themselves. That feels qualitatively different from obtaining the more typical records from the sources and repositories that genealogists use all the time, which are mostly public documents. Granted, we sometimes need a living person’s birth or marriage certificate, say, and might ask the person for it directly, but that’s hardly a request for a biological sample. Maybe finding and asking the right people to test should be part of a reasonably exhaustive search, but I have to say even that feels a little sketchy in many circumstances. 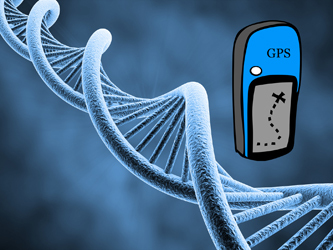 Expecting people to provide that DNA information? That would clearly be on the other side of some line for me, well beyond reasonably exhaustive. Nope, not expecting it at all — that would be asking too much. But for a genealogist not to consider it? Not to think whether DNA evidence would help solve the question? Not to figure out if there’s someone who could be tested? Not to ask to see if the person is willing to be tested? Why in the world would we NOT do that? Note my “in many circumstances.” It could absolutely be fine in some situations. By I am hesitant to consider it a general rule. I am entirely okay with considering how DNA might help solve a problem (or provide clarification), with figuring out who should be tested, and with presenting the appropriate discussion in an article or client report. It’s the asking a particular individual that *can be* a problem, or at least enough of a problem that implicitly incorporating it as a GPS requirement strikes me as going too far. Would you not cold-call folks to find out if they have the family Bible? Artifacts? Photos? Other than the fact that the disclosures needed for informed consent are different, why would the two types of evidence be different? I’m worried that folks who are fighting the full integration of DNA evidence into professional genealogy have simply not experimented enough with it and learned what amazing discoveries can be made from it. One of my ancestors was born illegitimate in 1834. No known record identifies her father, yet I’m on the brink of learning his identity through autosomal DNA evidence. I fully support DNA testing and its incorporation into genealogy (professional or otherwise). I am absolutely fascinated with the process of autosomal analysis. I have already incorporated DNA testing into some of my more difficult projects, and will likely do so with more frequency as time goes on. In some cases, it will be beyond what’s needed. But in more and more cases, it’s not only not beyond what’s needed, it’s the minimum that’s needed. 1) Genealogists work most often with evidence gleaned from public records that are “reasonably” easy to obtain. DNA evidence is so very, very private, and not as easy to access. 2) The relatives who we contact to ask for old letters, photos, and certificates are typically older folks who aren’t always comfortable having their DNA brought into the research. 4) The same goes for my own kin–if my own relatives don’t want to submit to the tests for reasons they would rather not tell me about, would I need to explain that to editors appraising my work? Just using the “my family refused” excuse with editors would violate my family’s privacy by hinting at something embarrassing in recent family branches, right? 5) My working-class students often remark how expensive it is to study genealogy; more than a few have changed majors after noticing how much it costs to gather all the must-have books, attend the most important conferences, etc. Adding the expense of DNA testing to the already-costly “reasonably exhaustive search” might further discourage my other working class students from majoring in genealogy. 6) There are (technically, but not officially, I know!) two kinds of family trees that we can research–the legal family tree, and the biological. Adoptees often get to choose which one to trace–the ancestors of their adoptive parents, their biological ancestors, or both. But others for whom the two trees are intermingled due to family secrets might prefer to just trace their legal family trees for now, until certain relatives have passed on. If this is a family that doesn’t want to consider DNA testing even though it’s an obvious case where it could / should be used, it’s also a family that isn’t likely to want the results published, no? The only excuse for not wanting the testing is because it will show something other than what the paper-trail research shows — and if a genealogist choose to publish knowing that, isn’t the genealogist participating in a cover-up? “The only excuse for not wanting the testing” feels too strong for me, as does “participating in a cover-up.” Others may disagree, though, so I look forward to seeing more of the discussion. Publication requires a fairly harsh bright light being brought to bear on the evidence, Ruy, so I stand by my choice of terms. The notion of “no testing to protect privacy” is inconsistent with “but go ahead and publish the findings that we won’t let you test”. That inconsistency is a red flag and as the researcher I could not in conscience go ahead with the publication under those circumstances. I’m with Ruy on this one. There any number of reasons someone might not want to do DNA testing. Many may be allayed by education (imagine the older person whose only relationship with DNA is what they see on TV where criminals get caught), to be sure. “I don’t want my DNA on the internet” is a far cry from “I know my DNA will disprove what you are saying.” Thus the person doing the asking will need to be ready to provide education. However, another good reason for not wanting to do DNA testing would be perhaps issues in a line different from that being researched or published. For example, remember the issues with stalkers and other dangers (see Roberta Estes’s No (DNA) Bullying, for example). And these problems can exist in the client’s background or in that of the other person you’re trying to get to test, but have absolutely nothing to do with the research one is trying to publish. Issues in one line should not diminish the quality of research done for another line. I agree with your position that problems in one line shouldn’t necessarily impact the research in another. But if the other requires DNA research, and the family isn’t willing, then we may simply have to accept that the research is not publishable. And may not be reliable. In my experience, the folks most opposed to testing are those who just want their *legal* pedigree for the family scrapbooks–they aren’t interested in tracing the *biological* family tree or including the ancestry of the unmarried man who fathered one child with great-grandma; they prefer to honor the man who actually raised her children, instead, by putting only his line in the family records. Or in cases of abuse, etc, again, I get a lot of clients who want the loving stepfather who took over for the abusive father and adopted/raised them to be the one whose ancestors are featured in their pedigree . . . those are the kinds of reasons I hear most often. Those kinds of pedigrees don’t meet the Genealogical Proof Standard, of course, and usually aren’t meant for serious publication. They couldn’t be submitted to the NGSQ or other peer reviewed journals. Thank you for explaining this–I wasn’t aware of the rule. Just to make sure I understand, so that I explain it correctly to my students: even if the stepfather legally adopted my client’s parents, and the bio-dad’s rights were terminated, their legal family history (via stepfather’s branch) would not be publication-worthy with the Q? ANY family history may be worthy of publication, Jenny, and that doesn’t require the biological link. And an individual family history intended solely for the family may not be held to the same high standards as one submitted to a peer-reviewed journal. But I hope you’d agree with me that no-one should publish a family history that really misstates the facts: the stepfather should be identified as the stepfather and not misrepresented as the biological father. (The reasons don’t have to be disclosed if there are privacy issues involved.) But we owe it to our families, and to future generations, to tell the truth. As much as I dearly love my oldest brother, I could not write a family history that said he was the son of my father and my mother. He is in fact the son of my father and his first wife; I am the child of the second wife. Cold calling for DNA samples can be a bit bizarre (speaking from experience [though I’ve never been turned down]), but in a few years time, I’m guessing it won’t be necessary. So many samples are being processed now, a large percentage of historical residents of the USA will soon have one or more descendants in the databases who have been autosomally tested. The professional’s job will be to help clients compare their own DNA results with the matches and find the right match(es) to help solve their problems. I have been turned down for a DNA sample, on a military repatriation project where I identified the deceased soldier’s mother’s sister who was still living (in her late 90s). That may be overstating it—I was turned down for even a simple conversation. And I believe that should be expected: why would a 90+ year old woman talk to some strange man who she doesn’t know? I personally won’t even answer the phone if I don’t recognize the name or the number on the caller ID. What do you think about my argument that it won’t be necessary to cold call in the future? If you’re asking the whole peanut gallery :-), here’s my response. The autosomal recombines too quickly for it to much use for showing relationships beyond around third cousins. So even if many historical residents eventually have descendants in the databases, we need to be concerned with *recent* residents, not long-distant ones. While your scenario might become true eventually, I think “future” is further out than you might be implying. For Y-DNA (and analogously for mtDNA, I suppose), the lines from those historical residents would have to be just along the male-line paths, which restricts the number of historical residents of concern — they would have to be ones with surviving Y-DNA lines today, if I’m understanding your idea. So again, the future may be further off than your point seems to anticipate. I’m not sure how it could be very far off with predictions that the number of autosomal tests sold is approaching 1,000,000/yr. It isn’t a matter of the number of kits; it’s a matter of the information the DNA has for us. In my own personal case, I have paper trail third cousins where there is absolutely no doubt whatsoever about the degree of cousinhood — and we just happen to fall into the 10% where two third cousins don’t share enough autosomal DNA to match. Testing more people will provide more data, but it won’t ever completely overcome that kind of consequence of recombination. Ooops. Now I’m starting to get it. I’ve also found that for many of the folks I am studying, if I look at Ancestry Public Trees, I can connect with the correct person to be tested to answer research questions. That person is already interested in genealogy. When I offer to pay for the test, it has been a pretty easy sale.